After weeks of haggling and a last-minute flurry of amendments, the Senate had failed to vote late Thursday on attorney fee caps and other system changes that had been the legislative priority of the insurance and business industries. At least one business advocate that time may have run out. 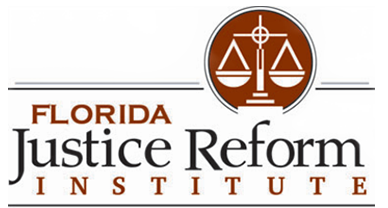 “It is my understanding comp reform is dead for this session,” said lobbyist William Large, president of the Florida Justice Reform Institute, whose self-avowed mission is to make it more difficult for trial lawyers to sue businesses. The legislative session ends today, except for a Monday session to deal with budget items only. As the Senate convened early Thursday, it appeared that the sponsor of the Senate reform bill had mostly acquiesced to the House version, filing an amendment that dropped his proposed hourly cap for claimants’ attorney fees from $250 to $200. That was still more, however, than the $150 ceiling contained in the House comp reform bill that passed 82-37 on April 19. In his proposed amendment to House Bill 7085, Sen. Rob Bradley, R-Fleming Island, also omitted his original proposal to shift Florida from administered pricing to a loss-cost system. Proposed amendments by Sens. Jeff Brandes, R-St. Petersburg, and Jose Javier Rodriguez, D-Miami, also had not reached the Senate floor as of this report's deadline. They would have capped attorney fees at $150 and $225, respectively. The lack of a Senate vote by Thursday evening spelled likely defeat for insurers and business interests that insisted on reforms following a 14.5% rate increase enacted Dec. 1 in response to two state Supreme Court rulings. In one of the decisions, the high court ruled that Florida’s statutory fee formula for claimants’ attorneys was unconstitutional because it did not allow for reasonable fees. The decision in Marvin Castellanos v. Next Door Co. triggered more than two-thirds of the rate hike, which the National Council on Compensation Insurance estimates will raise system costs by $1.5 billion in the first year. Labor groups and workers’ advocates were lukewarm on Bradley’s more attorney-friendly bill, SB 1582, but adamantly opposed an amendment he filed late Wednesday dropping the hourly attorney fee cap to $200, and to the House bill that passed two weeks ago. 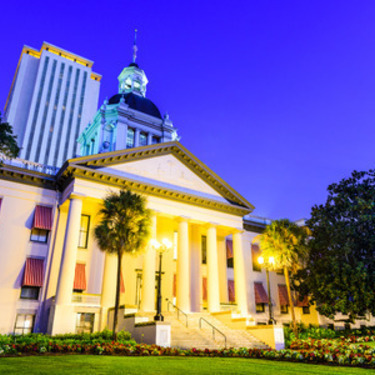 Even with the 14.5% rate increase, they say Florida’s premiums have dropped nearly 50% since 2003 reforms eroded some wage and medical benefits for workers. Miami claimants’ attorney Mark Touby, who represented Castellanos, said he hoped workers’ comp reform was dead for this session. “The Bradley amendment to the House bill is the insurance company’s bill,” he said. “It doesn’t do comprehensive workers’ compensation reform. It’s not about the dollar amount of the fee. There is no competitive rate-making, no benefits to injured workers, nothing in the amendment that in any way stabilizes the marketplace. “This is just bad for business and bad for workers,” Touby said. If the Senate, working late into the night Thursday, were to pass HB 7085 with Bradley’s amendment, the bill would have to go back to the House today with mere hours left in the session. “As time passes, there’s a question of when and if the bill is called up. We certainly don’t know,” said Ron Jackson, Southeast region vice president for the American Insurance Association. Jackson has spent most of the week camped out at the statehouse in anticipation of a comp reform bill vote. Bradley’s amendment to HB 7085 not only would have increased the hourly fee for claimants’ attorneys by $50, it would have changed the circumstances under which judges of compensation could have departed from the statutory fee schedule: 20% of the first $5,000 of benefits secured on behalf of the injured worker; 15% of the next $5,000; 10% of the remaining benefits secured for the claimant; and 5% of the benefits secured after 10 years. The Bradley amendment would allow judges to depart upward or downward from the fee schedule if the fee it produced were less than 60%, or greater than 125%, of customary claimants’ attorney fees. HB 7085, which would cap hourly fees at $150, would allow an upward departure from the formula if the fee were less than 40% of an attorney’s customary fee. NCCI said in its estimate of the original HB 7085, which capped claimants’ attorney fees at $250 an hour, that it would lower system costs by at least 5%, or a minimum of $182 million a year. About 60% of that, $110 million, would be attributed to capping hourly attorney fees at $250, the ratings organization said. It did not evaluate the savings after bill sponsor Rep. Danny Burgess, R-Zephyrhills, dropped the cap to $150 an hour. o Make the injured worker responsible for remaining attorney fees if required by a retainer agreement. o Allow carriers to reduce premiums by up to 5% if they disagree with the filings made by NCCI. o Eliminate charge-based reimbursement of outpatient medical care in favor of reimbursement at 200% of the Medicare rate for unscheduled service, and 160% of the Medicare rate for scheduled surgeries. o Require carriers to approve or deny requests for authorization by phone or in writing within three days of receiving the request. Current law simply requires them to “respond” within three days.